e3 Civic High is a charter school that is part of the San Diego Unified School District – the first high school in the Nation located inside a public library. It is on the 6th and 7th floors of San Diego’s beautiful Downtown Central Library, dedicated in 2013. Library patrons may see into the school but cannot access it because it has separate elevators. Students, however, have access to the library’s exceptional research tools. The e3 name stands for engage, educate and empower. While students from throughout the County submit applications to attend, preference is given to those whose neighborhood high school is identified as underperforming. CNN recognized e3 Civic High as one of the top 41 most innovative K-12 schools in America. The curriculum combines academics with real-world experiences of downtown businesses, organizations and facilities. Students may earn both a high school diploma and a community college degree in biomedical health or digital media. e3 is indeed a high school for the 21st century. The San Diego School of Creative and Performing Arts is a public arts magnet school in southeastern San Diego. It is a place where arts and academics share center stage, providing a challenging interdisciplinary curriculum that inspires academic and artistic excellence for a culturally diverse population. Most of the students in grades 6-12 are bussed to the school from throughout the San Diego Unified School District. They take specialized classes in theater, music, dance, visual arts, video production, stagecraft and creative writing along with regular academic subjects. SD/SCPA was named in 2013 as one of the best high schools in the Nation by U.S. News and World Report. The U.S. Sand Sculpting Challenge and 3D Art Exposition is proud to lend its support to this unique institution. San Diego Padres Foundation has contributed millions of dollars to many local charities including those serving children’s health, education and fitness. Among its many programs, it provides baseball tickets to disadvantaged children who would otherwise not be able to attend a Major League baseball game. The U.S. 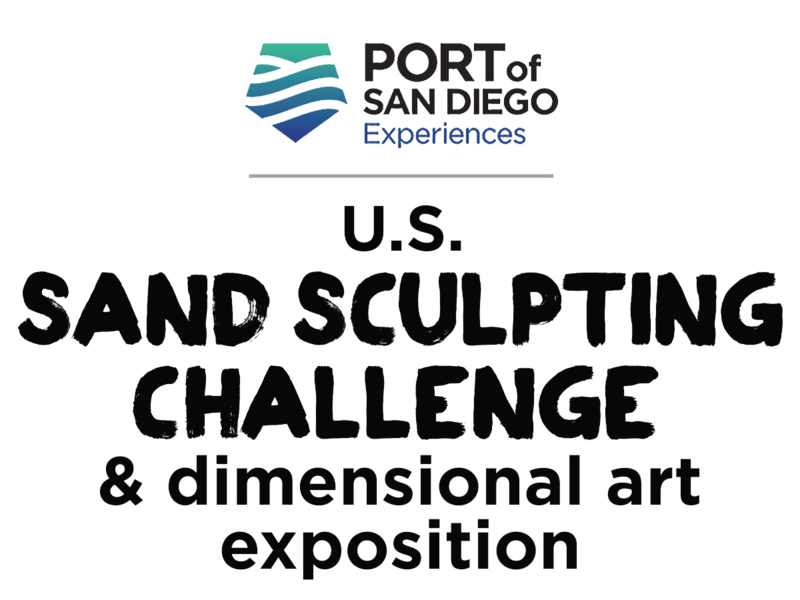 Sand Sculpting Challenge and Dimensional Art Expo contributes just a tiny fraction of the Foundation’s proceeds, but we are proud to be able to help in our small way. There are many ways to join the Padres’ efforts, including spinning the Padres Foundation Prize Wheel located at the Park at the Park during most home games or participating in the Foundation’s Online Auction to win game-used items like jerseys. bats, caps, baseballs and more. It’s not only about the arts themselves. It’s about what they can do to bring kids, particularly those at risk, out of their shells, nurture their pride and self-esteem, and actually help them develop learning skills that last a lifetime. The dramatic arts have been proven to help children learn language skills; music is an invaluable aid to teaching math; writing and visual arts help develop critical communications abilities. Through the creative arts, Arts for Learning San Diego INSPIRES, motivates and challenges children to achieve their full potential; provides professional development for teachers and artists; and leads the community in advocating for maintaining arts education in schools. Arts for Learning has nearly 100 performing and visual artists on its roster, providing school assembly programs, workshops and residencies in elementary, middle and high schools throughout San Diego county. Last year alone, they reached over 53,000 students with 3,500 programs at 168 schools. Just imagine the millions of San Diego kids and adults who this organization has influenced in the most positive way over the past 50 years. Positive influence? Not a surprise when you consider that the board of advisors to the national organization includes such luminaries as Van Cliburn, Celeste Holm, Yo-Yo-Ma, Wynton Marsalis, Zubin Mehta, Itzhak Perlman . . . . Most of the world was discovered and explored from the decks of sailing ships. The mariners, who explored unknown seas, left their knowledge to us in the form of diaries, logs, and charts. They were just as brave and adventurous as the astronauts who explore space today. These early sailing explorations paved the way for our settlement of all the continents. At the Maritime Museum of San Diego, children relive history and learn about the science of the sea. The museum’s ships (including the world’s oldest active sailing vessel, the Star of India, commissioned in 1863) and collections represent San Diego’s great maritime heritage and bring award-winning educational programs to life for thousands of children each year, from K-12. Kids see and hear just what it was like for the “marinauts,” as well as thousands and thousands of ordinary people who traveled the sea en route to new beginnings in new lands. Museum programs enhance many school curricula, including social studies, geography, math, science, astronomy, geology and more.